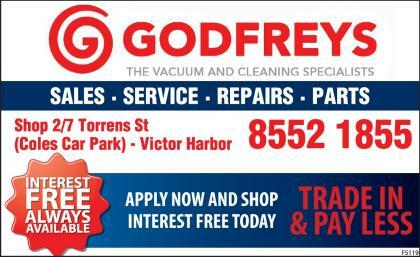 Godfreys Victor Harbor are the Fleurieu’s vacuum specialists on the South Coast. With a huge range of vacuum cleaners and steam cleaners, Godfreys have built their reputation on providing quality cleaning products at great prices. If you are looking for a vacuum cleaner, Godfreys have many to choose from including bagless vacuums, pet hair vacuums, asthma vacuums, commercial vacuums and many more. With over 80 years of experience in the vacuum cleaner industry, Godfreys can give you great advice on the best way to clean every home and office.